Increase productivity and speed, get the best combination of PHP developer tools at a great price. 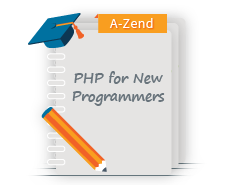 Zend Studio which helps create and maintain PHP code effectively, solve problems quickly, deploy in the cloud, and improve team collaboration. Its open source development platform makes it the most open PHP IDE with the biggest library of add-ons and plug-ins. Zend Server equips development teams with the software infrastructure, tools, and best practices for productive collaboration and continuous delivery of their mobile and web apps with exceptional performance, reliability, and security. Zend Server includes Z-Ray, which gives unprecedented, in context visibility inside apps, by showing in real-time exactly what happens to construct each page. The bundle contains the Zend Server Development license. 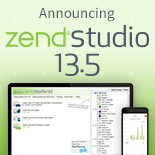 Zend Studio and Zend Server are designed to work together, streamlining the development and deployment process. 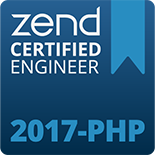 From Zend Studio, PHP scripts can be tested onto a local Zend Server and then packaged up for deployment on Zend Server in production. Then after deployment time, Zend Server monitoring captures debugging and root cause analysis information for use in Zend Studio. The Zend Developer Edition bundle comes with standard developer level support agreement from Zend, the PHP company. All major and minor upgrades for both Zend Studio and Zend Server are included free for the term of the subscription, and specific support response times are defined based on service level agreement (SLA) – ensuring your development processes are always running at top performance. Develop and maintain quality PHP code faster. 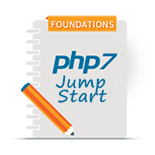 Now supports PHP 7.0.